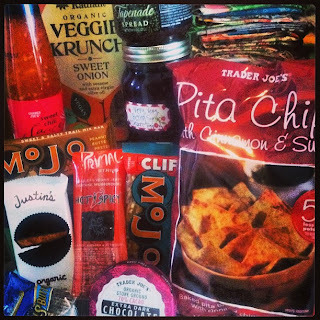 I went to Trader Joe's and bought a few of my favorite snacks to share...Cinnamon & Sugar Pita Chips, Thai Chili Sauce, Extra Dark Chocolate, and Olive Tapenade spread. 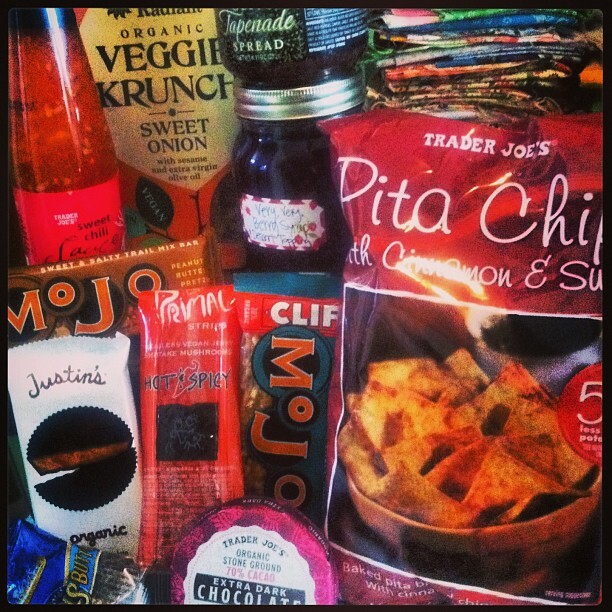 At Whole Foods I found, Justin's PB cups, Primal Strips, Veggie Krunch, and 2 Clif Mojo bars. At Sprouts I got her a Almond Butter Ball (I got one for myself too!). I also included a jar of my homemade Very Berry syrup and dessert topping (a fancy name for jam that didn't jell like it was supposed to!). Now I'm waiting to get my box from another Vegan Food swapper...more on that when it gets here! Today I found another food swap, this one is called Foodie Penpals, and it works the same way...except it's not exclusive to vegans. I can however let the sender know that I am vegan and then they will only send vegan products. I'm looking forward to this one, it will start for me in February.